Want to stay in and learn more about your EXfriends? It's Friday evening, and most of us want to protect our quits and avoid going out, have a drink, right? Also it's February 23rd, and even in the heart of Arizona is cold, and overcast, and windy, I need to run to the store but I will not walk in this weather. So how about we play a game: my state, my weather now, nice things about living here, an old joke that never gets old! Arizona, 65 degrees and a lot of winds right now, but 8 months out of the year, you can't beat this place for walking, or hiking, being outside, and if you really want winter you only have to drive about 3h and go to the snowy Flagstaff. And my favorite old joke is: that life is like a roll of toilet paper, the closer you get to the end, the faster it goes! New York (upstate, near Lake Ontario), about 50 degrees and misty out there right now. The snow melted but of course it will be back, and melt again, and be back again. We have four very separate seasons, and Autumn is just beautiful. The joke is that if you don't like the weather, just wait a minute. It's nice to be close to family - close to the city but no hassles with traffic, good job and friends! Im Missy, can't recall how many days nicotine free, but about 3 and half years I believe. In Ohio....in the countryside...love the rolling hills, Amish country...best part of Ohio...all the countryside. I live in South Western New Hampshire right in the corner bordered by Vermont and Ma. on Wednesday it was in the 70's ,on Thursday we got 4-5 inches of snow and today it rained all day !!! Crazy weather very wet , muddy and icy! Looking forward to an early spring I envy Giulia with the Daffy's popping up already.... I love a song , Southland in the Springtime by the Indigo Girls ! Today is my Dad's birthday he has been gone for 12 years he knew ALL the jokes ! I miss him love never dies ! It's been bright and clear this afternoon but cold and windy all day. I didn't get to the beach today but the thing about living near the ocean, is, it makes a very temperate climate year round. 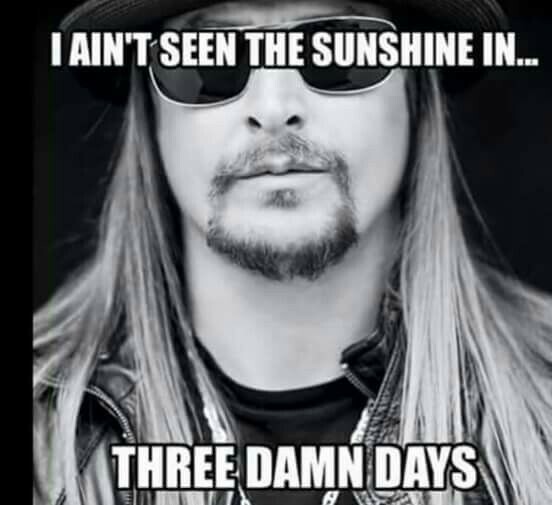 High of 55 degrees today. I was inside most of the day in beautiful Hampton Roads VA. i love where I live I have the beach, the ocean, mountains valleys trees and hills. I am a native. We have the military and shipbuilders here. I feel very safe. Some say the opposite but time has proven what a great place to live. Glad my dad and grandparents chose it. No scripted jokes. Just spontaneous...so This is a joke and I am participating. What have I become? Daniela!!! What a fun idea! I live in Northeastern Pennsylvania......the Poconos if that helps anyone relate. It has been dull and rainy all day here.....VERY disheartening as yesterday, we had a touch of Spring with temps in the high 60's. I love living here in my tiny town because it's a friendly, safe place to live. We never even used to lock our doors.....we lock our doors now for OTHER people's protection. We got a boxador (boxer/lab mix) -----Echo does not like people just walking into the house......he's obviously from the city! Daniela gets an "A" for a very fun and interesting activity!! !